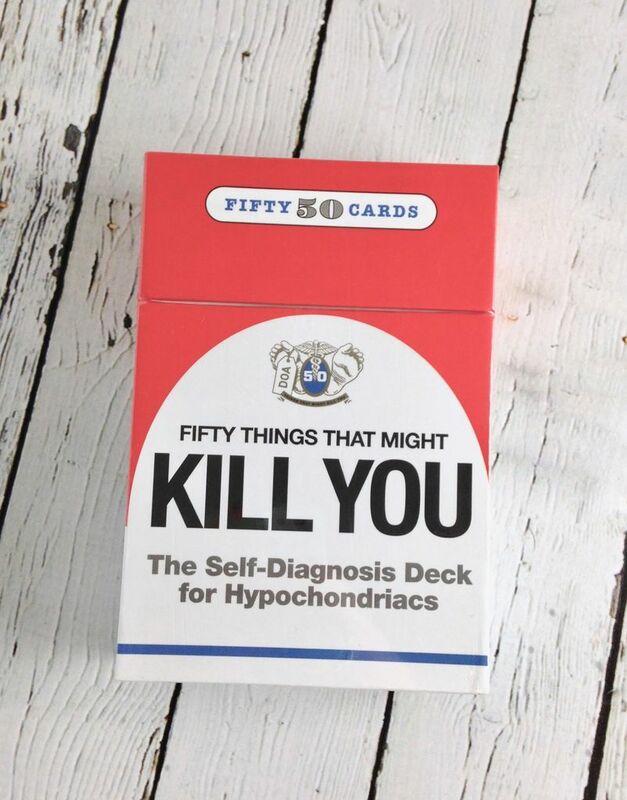 With this deck of fifty things that might Kill you, pick your symptom and pick a card (or cards) to see what rare, multisyllabic, and possibly fatal disease you might have. 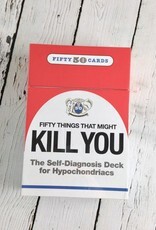 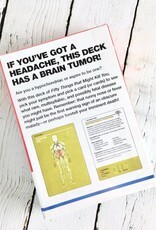 50 cards, Plus instruction pamphlet A symptom checker that mixes dark humor (and actual facts) for hypochondriac fun! 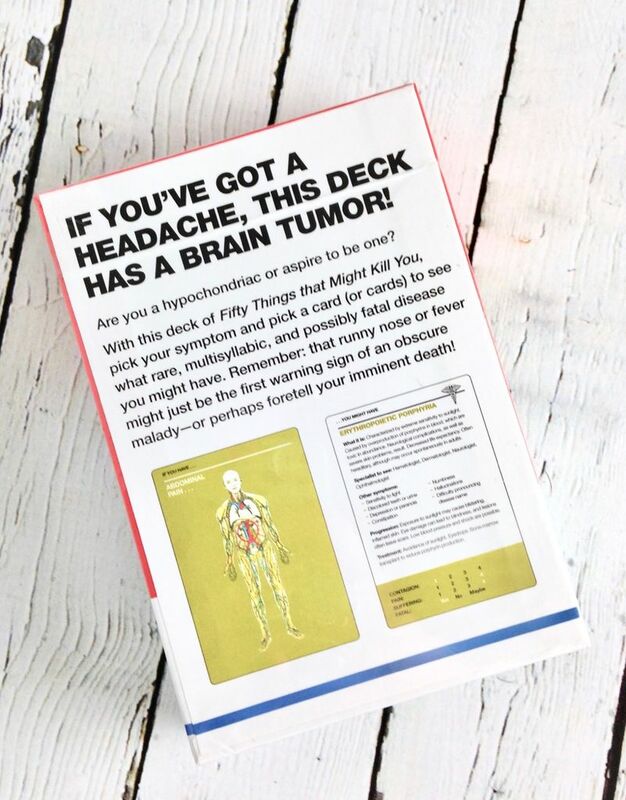 Warning: self-diagnosis may cause fear of serious illness, Phantom symptoms, unhealthy coping mechanisms, self-absorption, anxiety, oversharing, sweaty Palms, and hyperventilation.